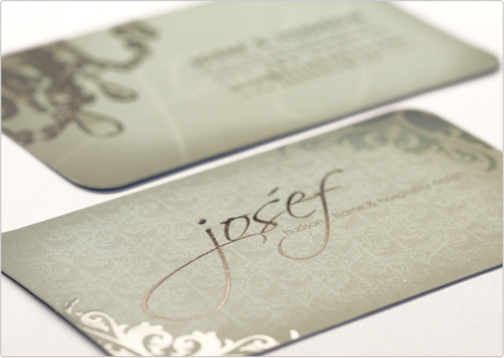 Taste of Ink Studios decided to included photography, patterns, vector art, and spot gloss highlights within this fascinating business card design. 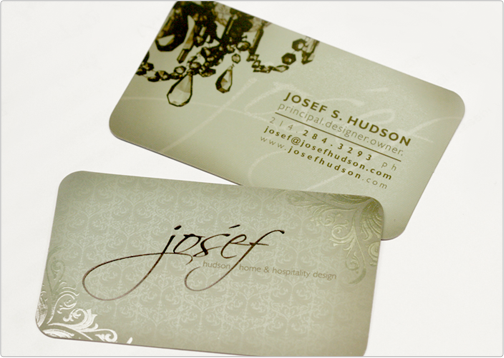 The card is printed on a smooth, silky matte finish and was cut with stylish rounded corners. 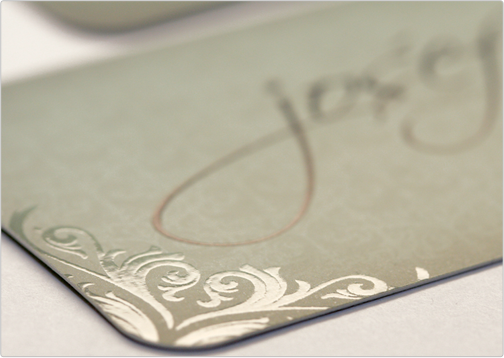 Blind spot gloss was implemented into the design for a classy and luxurious printed brand.